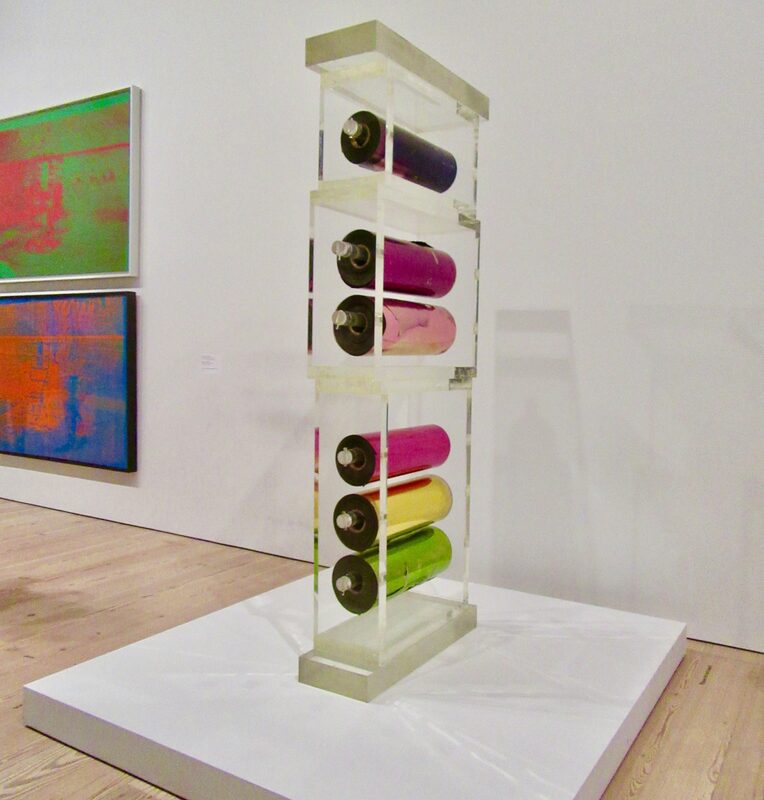 A hybrid of Pop and Minimalist aesthetics, this stacked sculpture, Mylar and Plexiglass Construction (1970) relates to Andy Warhol’s Mylar Silver Clouds from 1966 and extends his interest in seriality, color and the readymade into three-dimensional space. 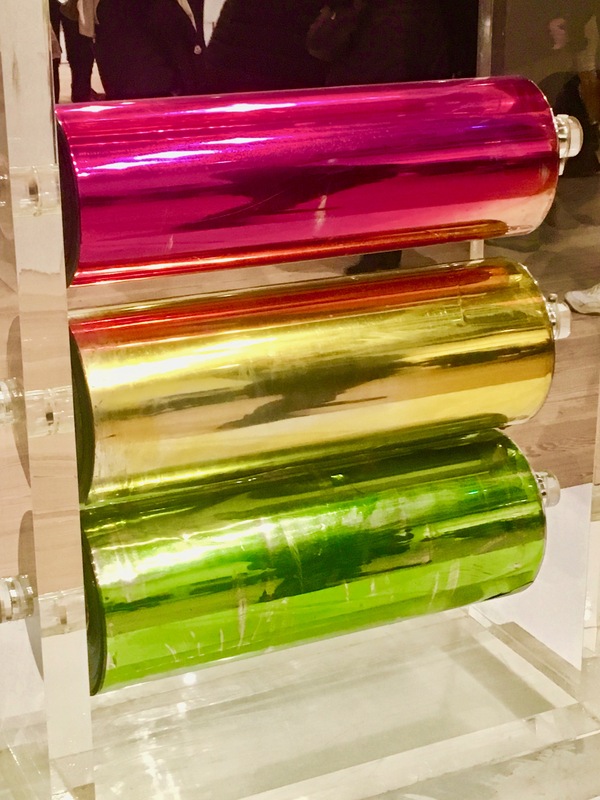 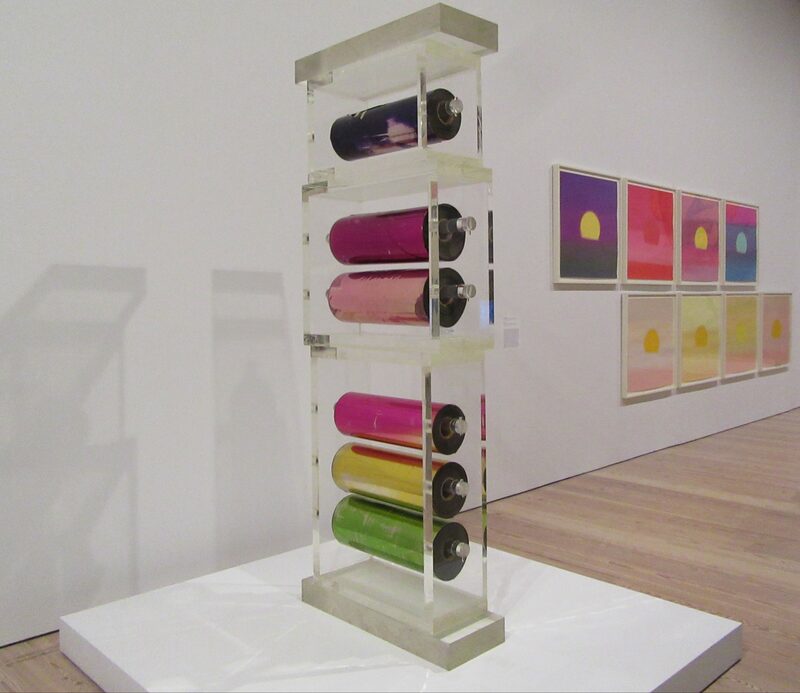 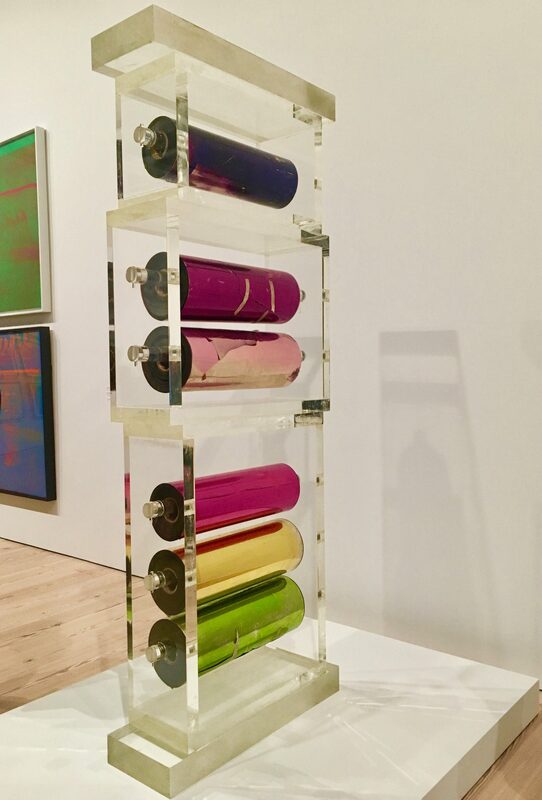 Comprised of six rolls of colored mylar on cardboard tubes, mounted in a Plexiglass case, the work offers a rare glimpse into a mode of artistic production that, for whatever reason, Warhol chose not to pursue further. 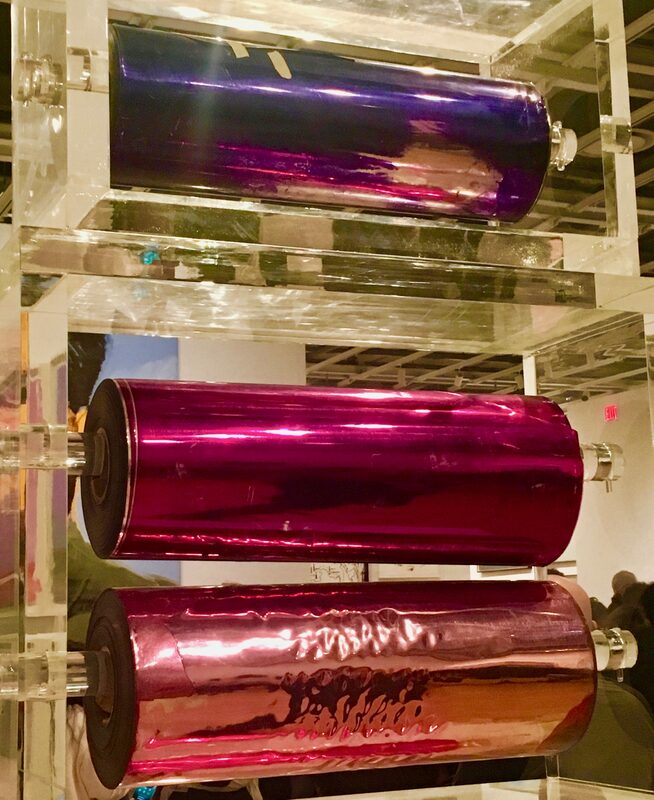 Photographed as Part Of the Exhibit, Andy Warhol: From A to B And Back Again, at The Whitney Museum in NYC Through March 31, 2019. 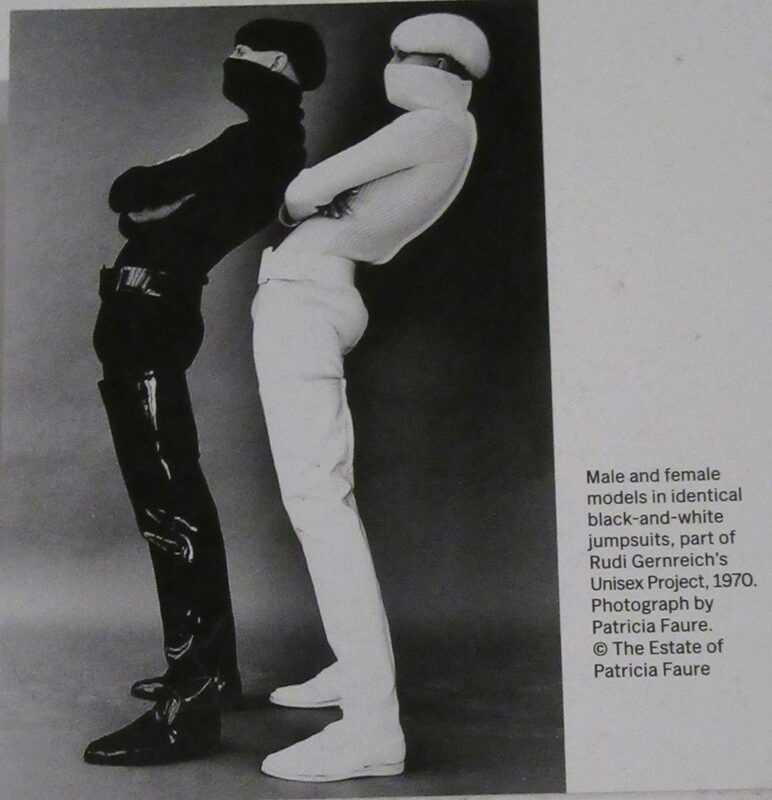 Gernreich brought his concept to life for the U.S. Pavillion’s Art and Technology Program at Expo ’70, a memorable World’s Fair in Osaka, Japan. 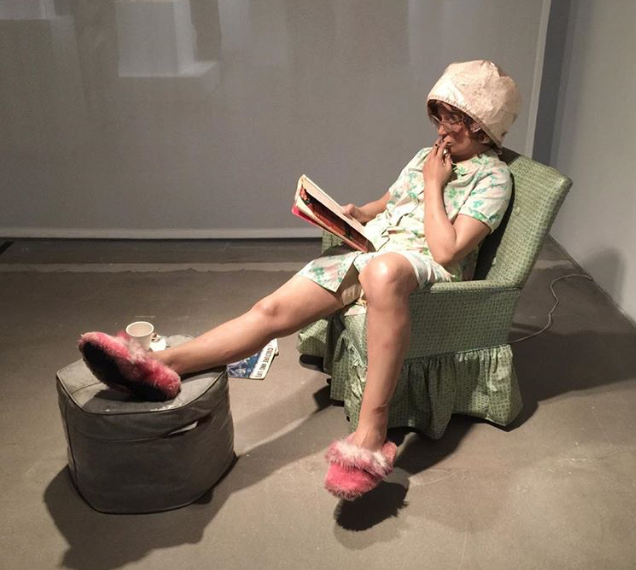 He eliminated stylistic markers of gender on his models. 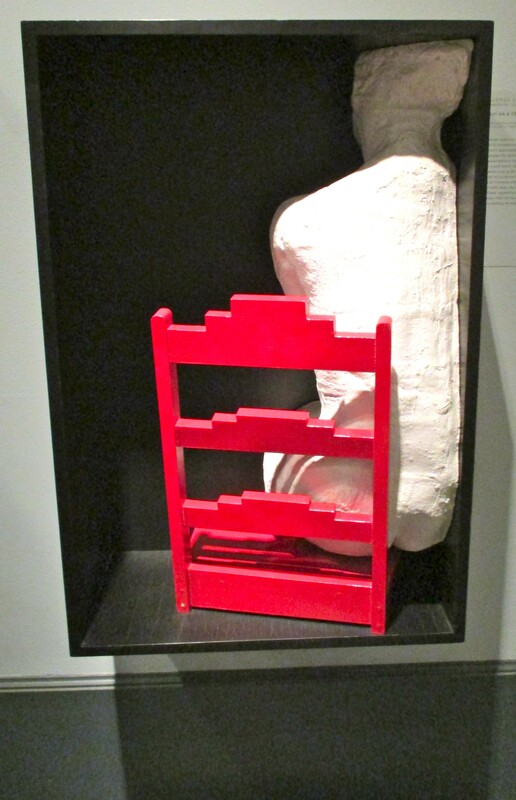 “Our notion of masculine and feminine are being challenged as never before.” he asserted. 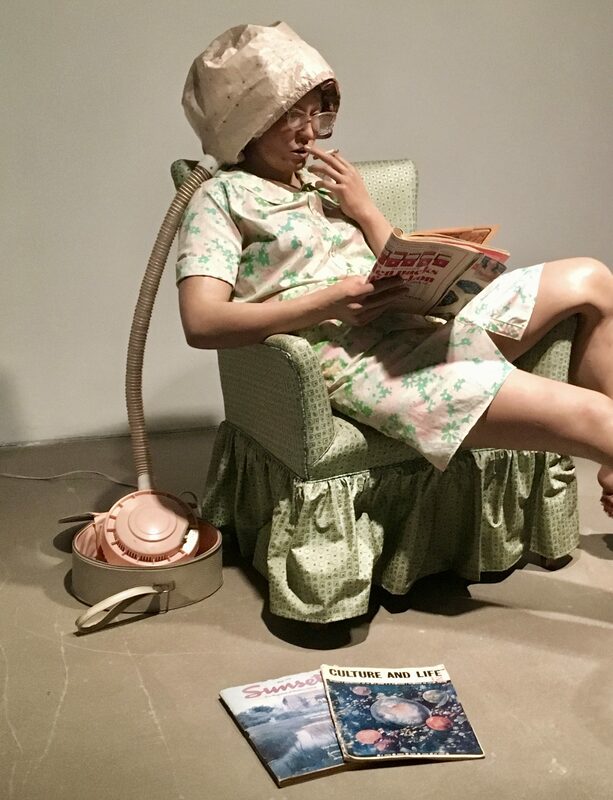 “The basic masculine – feminine appeal is in people, not in clothes.” These sentiments are echoed today, as fashion continues to shift its understanding of gender as fluid. 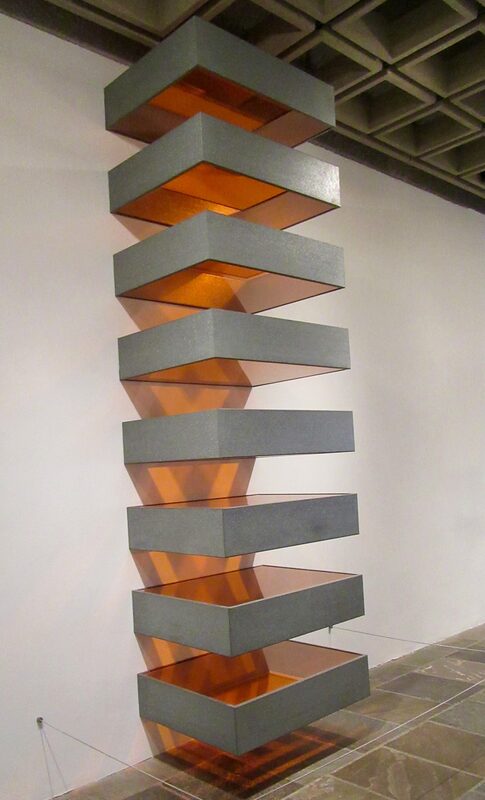 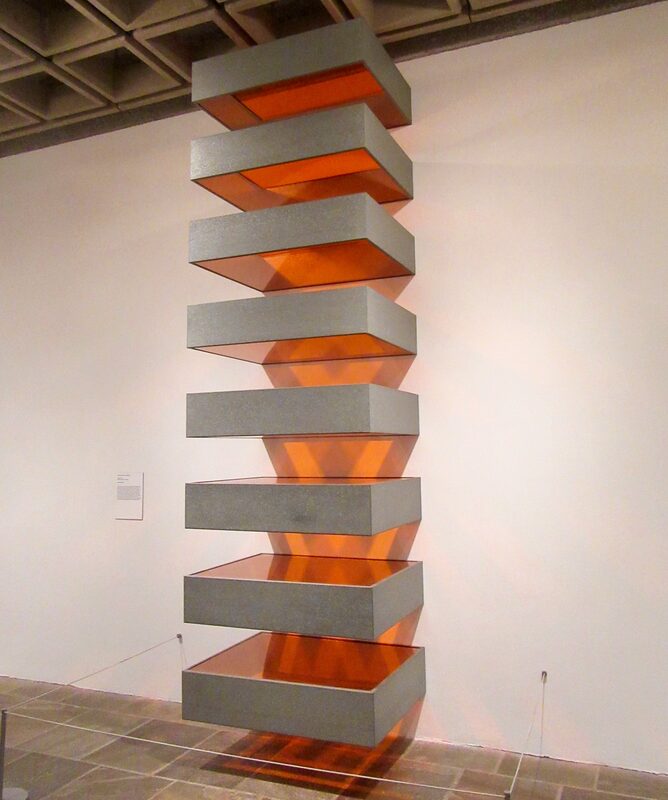 Donald Judd (1928 – 1994) created his first vertical Stack Sculpture in 1965. 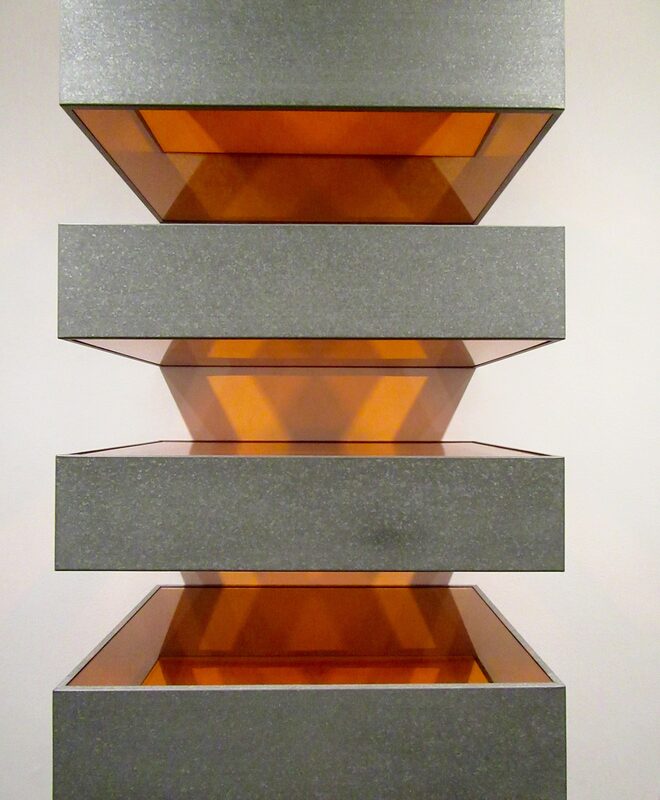 Coincidentally, this was just one year before furniture designer Ettore Sottsass designed his Superebox cabinet series. 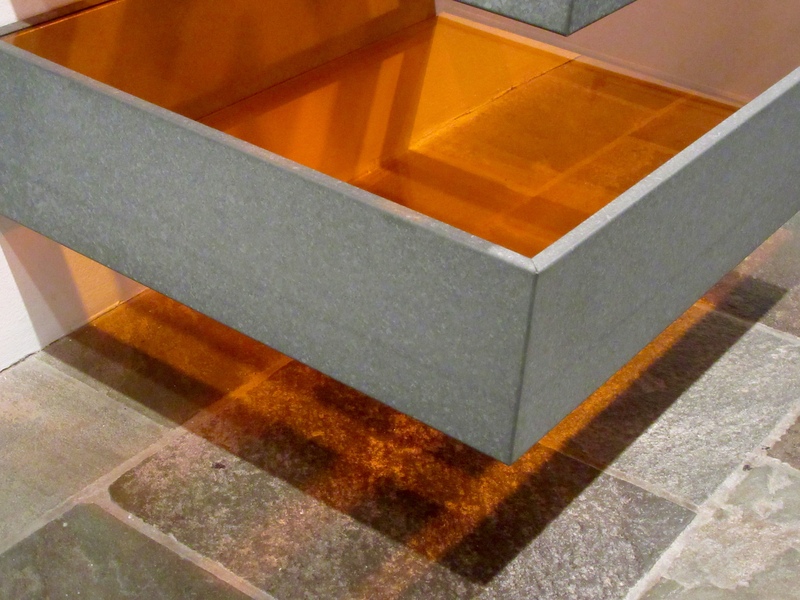 At the time, Sottsass claimed to have been inspired from the radical materials and construction of Parisian fashion, but he late wrote about Judd and even named a table in homage to him. 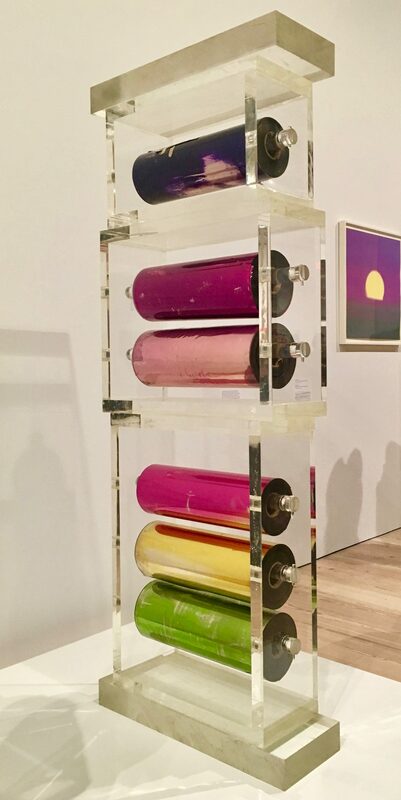 Judd’s sculptures use the language and materials of serial production and functionalist design, while Sottsass created functional objects with the aspiration of minimalist sculpture. 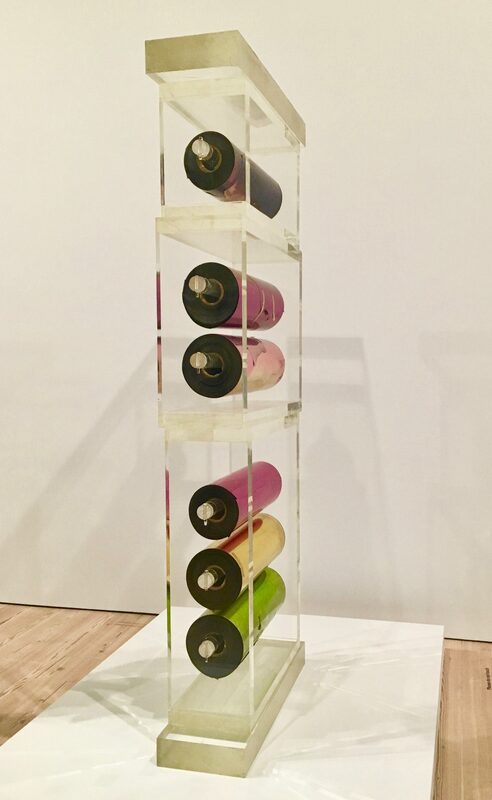 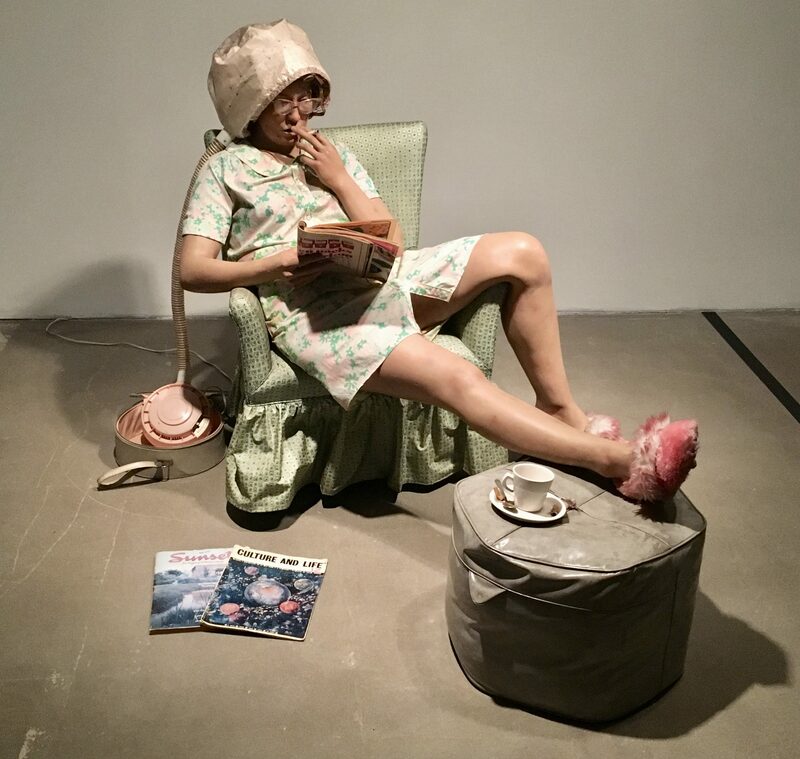 Photographed in The Met Breuer Museum in NYC. 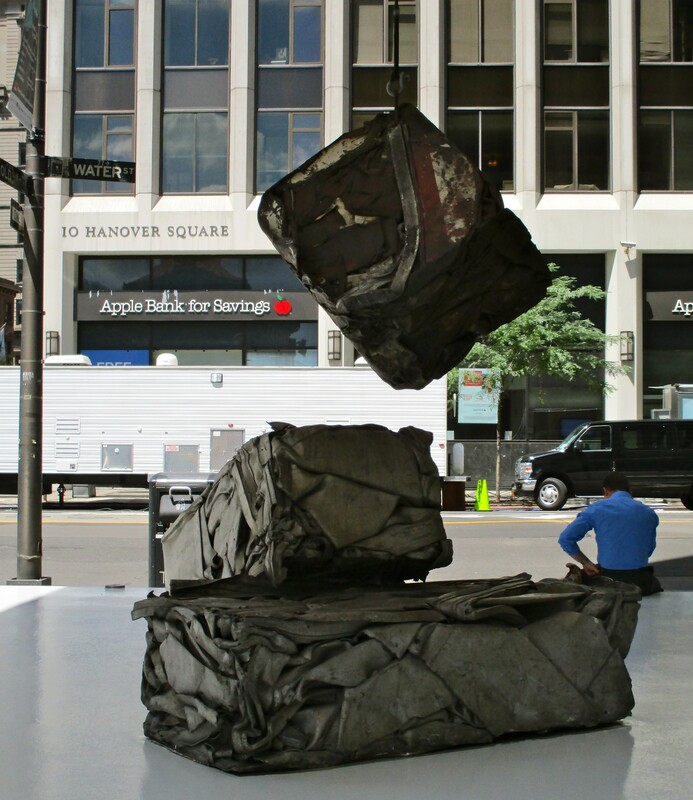 For years I’ve walked by this sculpture installation at the corner of Water Street and Old Slip, and assumed it was one of John Chamberlain’s crushed car works. 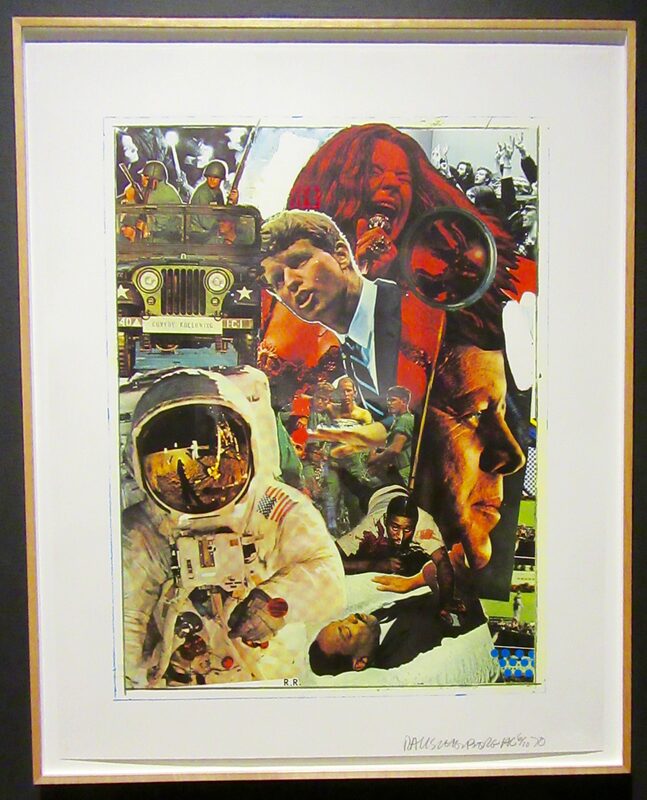 But recently I was compelled to snap a few photographs and do a bit of Googling. 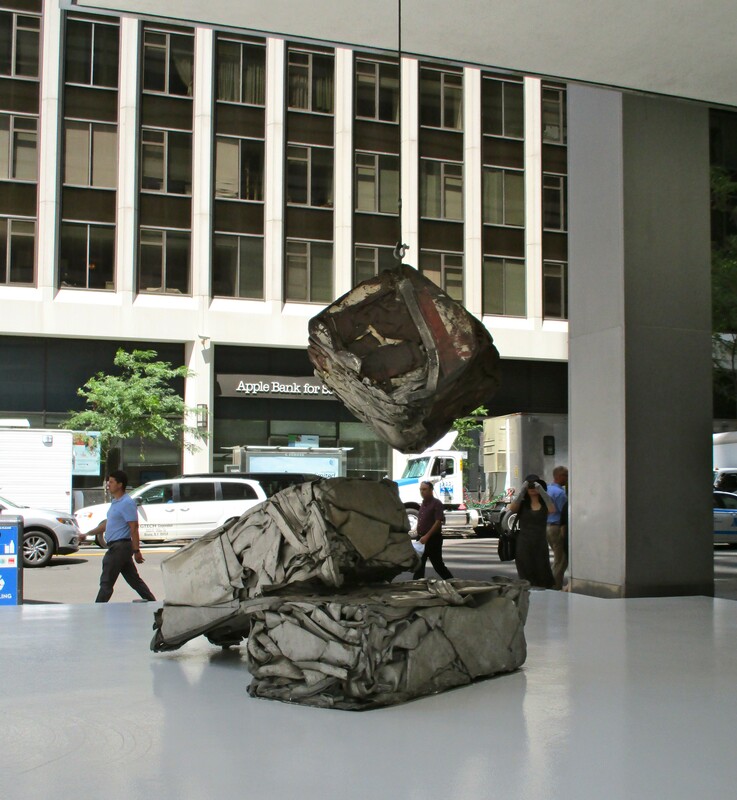 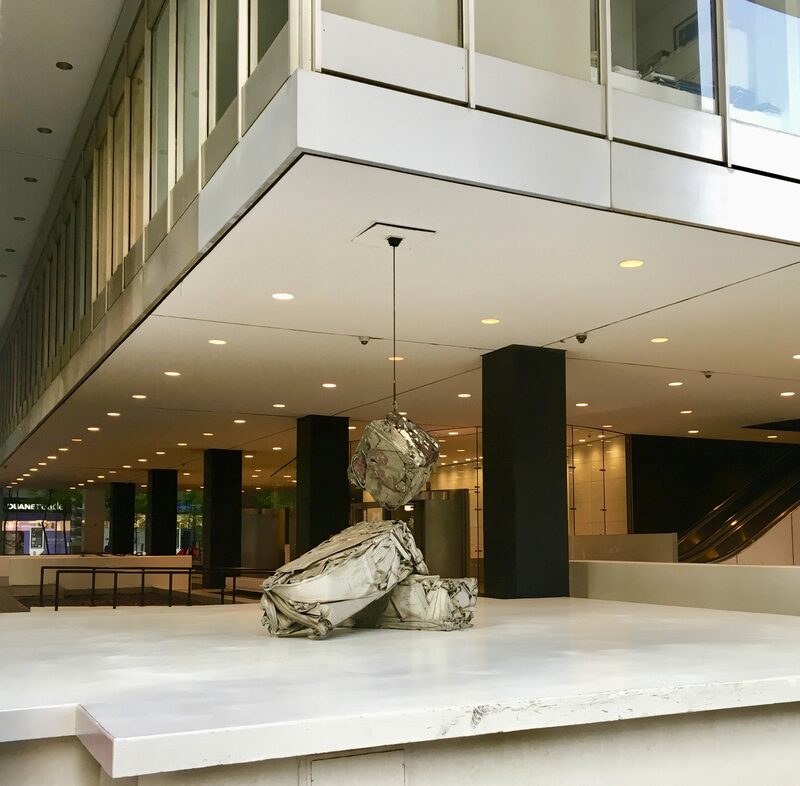 What I found out is that back in 1970, artist William Tarr made this sculpture from aluminum panels meant for the facade of 77 Water Street (the building on whose plaza it sits) that were rejected due to their imperfections. 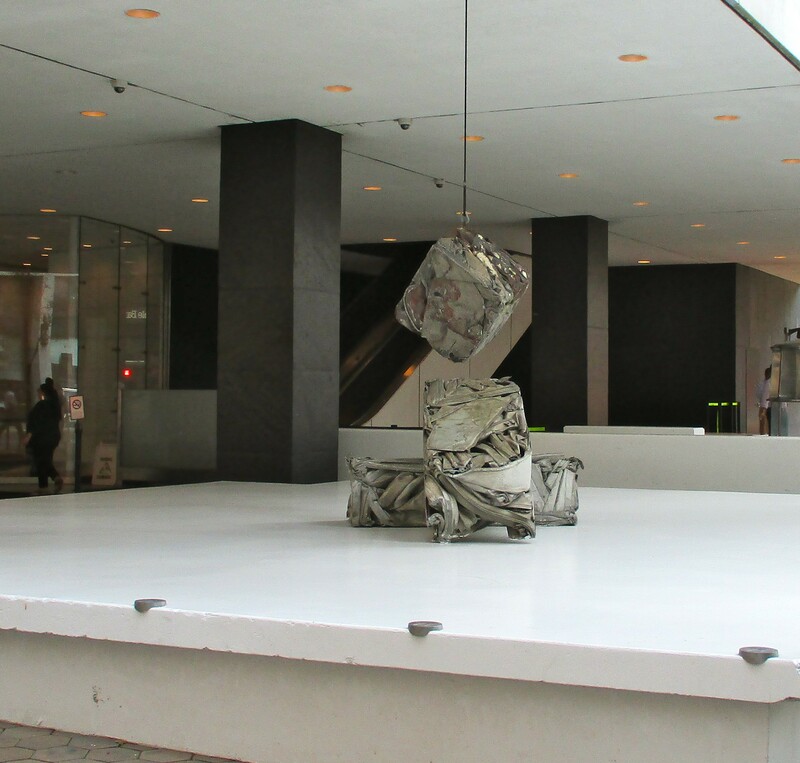 Thus, the sculpture’s name, Rejected Skin. 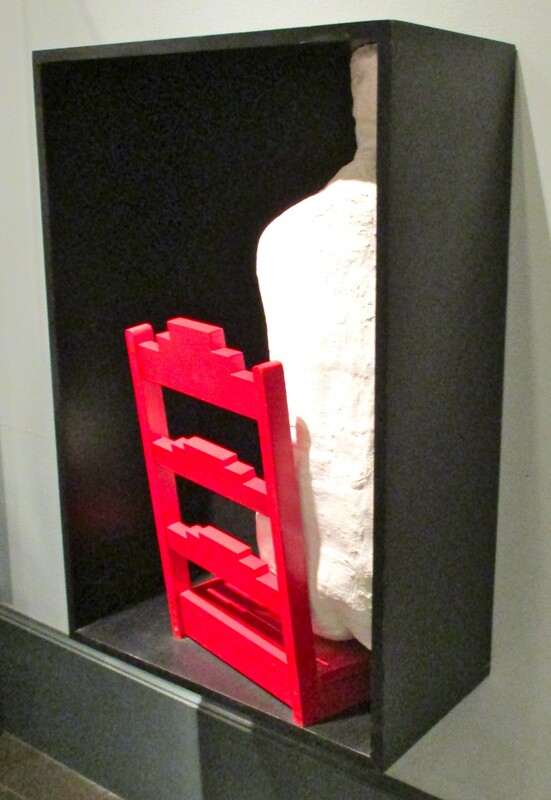 Photographed in the Brooklyn Museum.